Great resemblance of Alison Hannigan. "Today... at Band Camp... 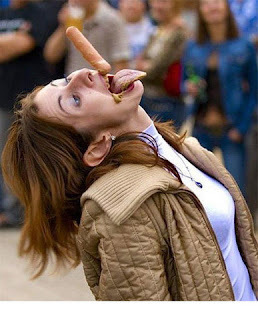 I got smacked in the face by this guy's weiner..."
Ugh that just looks nasty but looks as if she has been practicing! First Annual Lorena Bobbit Wiener Toss.